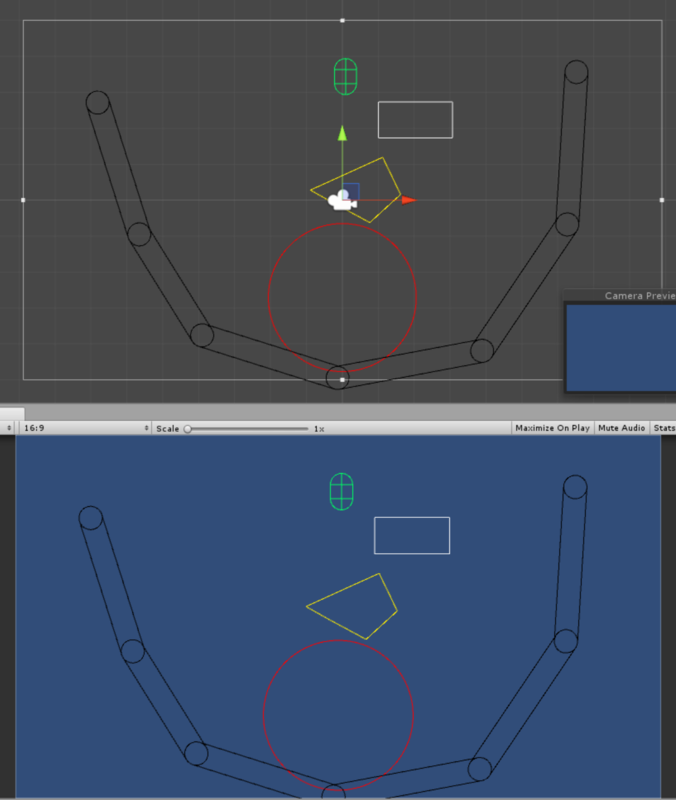 Tool to help you visualize 2d physics colliders and joints. You can track their transform at runtime. 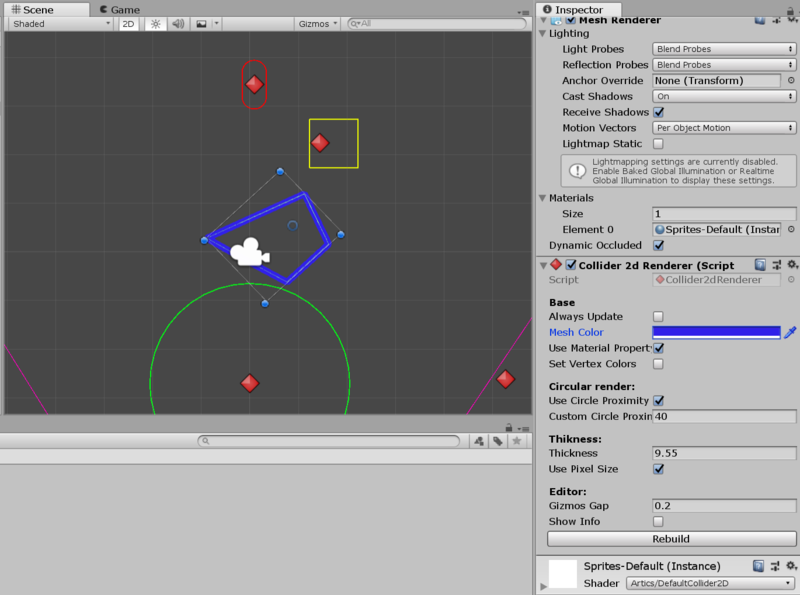 Just add the proper component to GameObject with a Collider2D. Supported Unity 5.6 and higher. Warning: Objects with scaled parent can render incorrectly. You can visualize colliders in two ways: rendering them as mesh and using editor gizmos. Frist method needs more steps to get result, second - is very simple but works only in Editor and need to attach different components for each type of Collider2D. Also, this package includes GUI tools to batch some operations with both types of visualizers. New version supports visualizing through Collider2dRenderer which renders colliders shape to standard mesh. This type of visualization lacks most features of the gizmos-based visualizers but it works in standalone builds, can be batched in one draw call to minimize graphics overhead impact. UseCircleProximity - use a custom number of segments created for circular areas of CircleCollider2D and CapsuleColldier2D. If not checked default value will be used (20). You can set the default value by accessing static variable Collider2dPointsGetter::CircleProximity. You can automate routine operations for you visualizers with the new manager which can be found at “Tools/Physics2dVisualizer/Open Manager” menu. IsVisible Enables or disables rendering of collider. DynamicBounds Updates bounds of collider every time OnDrawGizmos calls. Useful when you changing Offset, Size, Radius, e.t. of the collider. If you don’t just disable to increase performance. Color Color of rendered collider. This tools can help you to automate some routine operations without opening manager window.